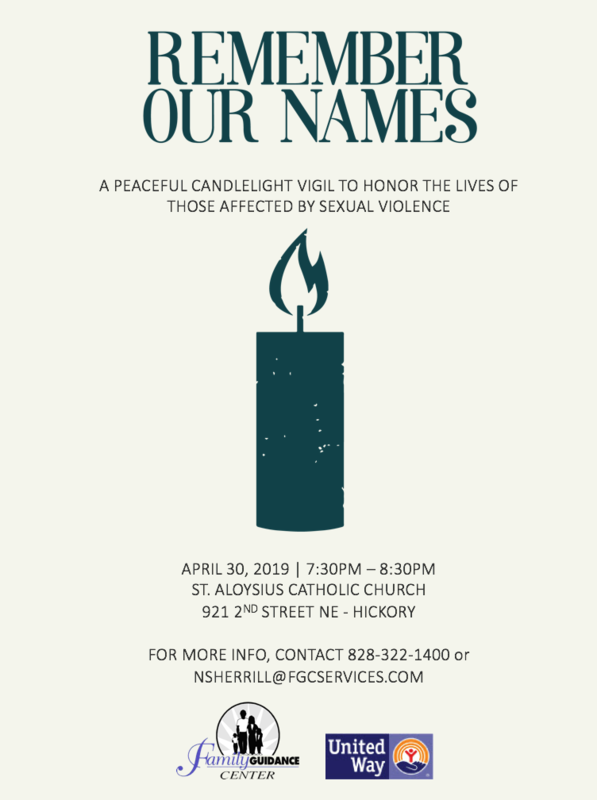 This will be a very peaceful candlelight vigil to honor all survivors, all ages, all backgrounds – silently or by calling out a name. No food, no extra – just a beautiful peaceful hour to reflect and remember. We will have information there and will be available to talk to those in need of support. Don't let problems control your life, call today for an appointment. GETTING HELP TODAY CAN CHANGE YOUR FUTURE! We accept most insurances. our sliding fee scale and other payment options are also available to cover the cost of services. For more information on our services, please call us at 828-322-1400. © 2019 · Family Guidance Center.